Chelsea have a lack of depth up front behind summer signing Alvaro Morata, but reports claim that they could be set to address the problem. Michy Batshuayi proved last weekend against Watford that he’s capable of stepping in and making an impact, but ultimately for a club looking to consistently contend on various fronts, Antonio Conte needs more quality and depth in attack. According to The Sun, they’ve set their sights on in-form Lazio striker Ciro Immobile, who has bagged 17 goals in 14 appearances for the capital club so far this season to fire them into the top four at an early stage in the campaign. The Italian international has shown he’s capable of scoring consistently during a previous spell with Torino, but then lost his way with stints at Borussia Dortmund and Sevilla. 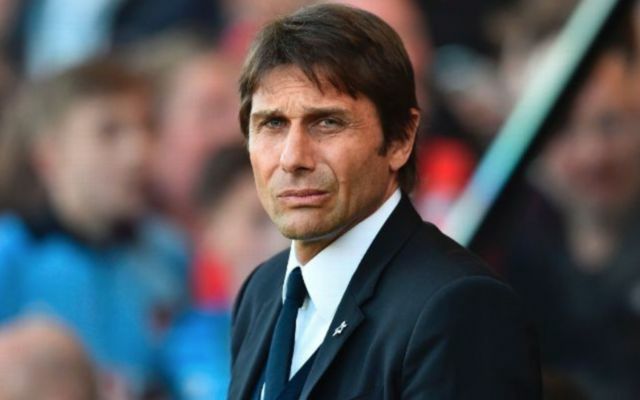 However, having now returned to his homeland, he’s proving to be a deadly finisher for Simone Inzaghi’s side and it seems Antonio Conte won’t have any reservations over whether or not he could deliver in the Premier League. It’s claimed by the Sun though that if Chelsea want to land Immobile’s signature, they’ll have to splash out £53m to ‘convince Lazio president Claudio Lotito to sell’, although they could put an offer on the table that involves players in exchange rather than parting with the full £53m. That surely won’t work for Chelsea though who have suffered with injuries and a lack of depth so far this season, and so letting more players leave Stamford Bridge would arguably be a mistake. In turn, it sounds as though there’s a long way to go before Immobile could find himself playing in the Premier League, but there’s certainly enough evidence from his form so far this season to suggest that he would be a real asset to the reigning champions.